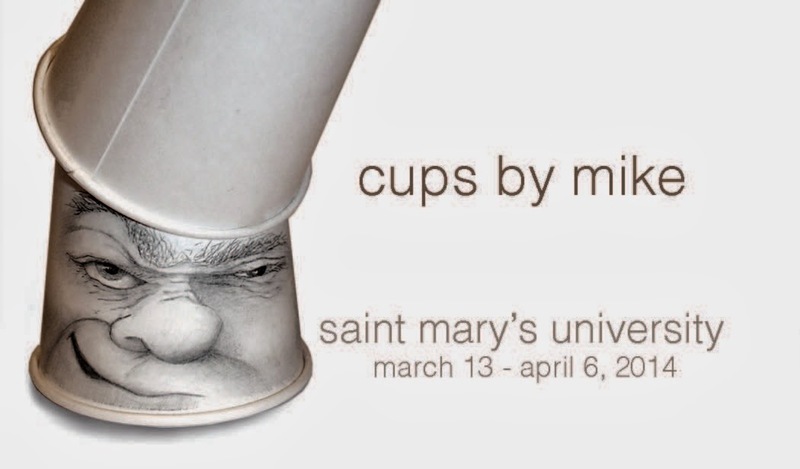 SMU Art and Design: Cups drawings are a hit! Make time to see the exhibit, Cups by Mike, in Gallery 2 of the Lillian Davis Hogan Galleries. Mike McColl has been drinking coffee since the invention of the coffee bean and releases that brewed nervous energy onto the outside of his finished coffee cup. March 13th through April 6th, 2014.